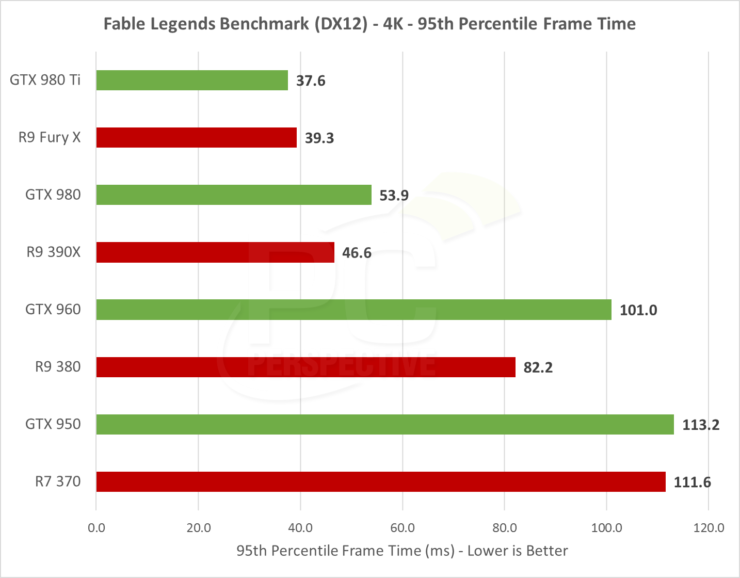 Microsoft has released the latest DirectX 12 benchmark based on their upcoming title, Fable Legends. The title launches later this year and the benchmark that has been released today is based on a pre-release version of the game so improvements are expected in the final build but the benchmark shows off the graphical prowess of both NVIDIA and AMD in DirectX 12 enabled titles. Last month, we got to see Ashes of the Singularity from Stardock, a real time strategy title that focused on utilizing DirectX 12 API. While AOTS integrated the use of new CPU scaling features and Async compute to effectively enhance the data sharing between CPU and GPU inside the system, it did little to make use of the new rendering effects which were to be featured on the DirectX 12 enabled titles. As known from months, DirectX 12 API does a good job by allowing higher CPU throughput to allow CPU-to-GPU communication much faster but that’s just one feature of the API. Aside from enhancing performance, the DirectX 12 API also works on improving the visual quality of upcoming titles that include Fable Legends, Deus Ex: Mankind Divided and many more titles in the future. 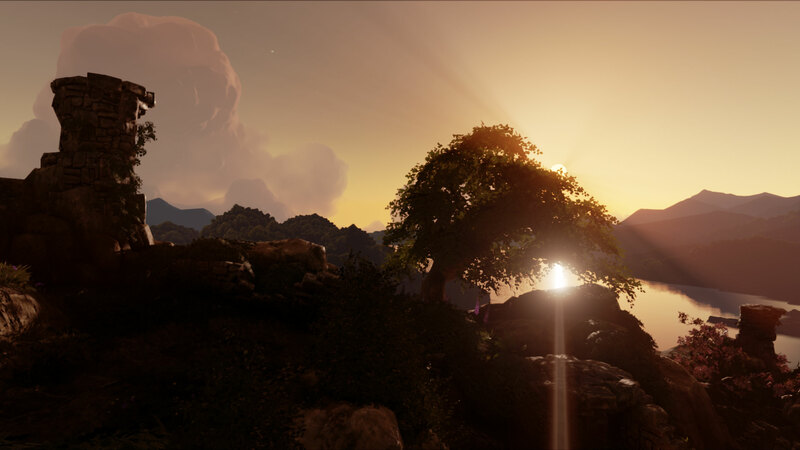 But with added image quality improvements, Fable Legends doesn’t take away the performance improvements and still adopts Async Compute and other nifty features while being based on a modified version of the Unreal 4 engine (DirectX 12) by Epic. 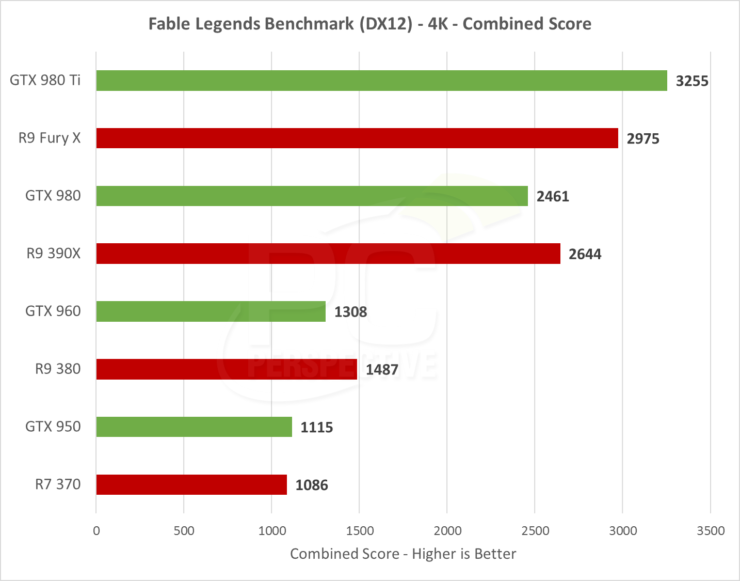 The benchmark scales really well with high-performance GPUs than CPUs since it can perform well with any quad core processor clocked around 3.5 GHz range. Even some dual core processors will run the game without letting the GPU being CPU bound but the performance will increase with multi-core processors (4/6/8 or more). 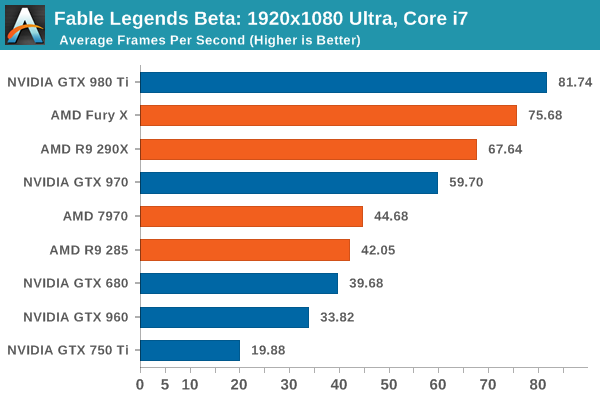 The performance was tested by several tech sites that include TechReport, PCPerspective, Extremetech and Anandtech. The performance was tested in several graphics cards, mostly the GeForce 900 series Maxwell and Radeon 300 GCN series cards. 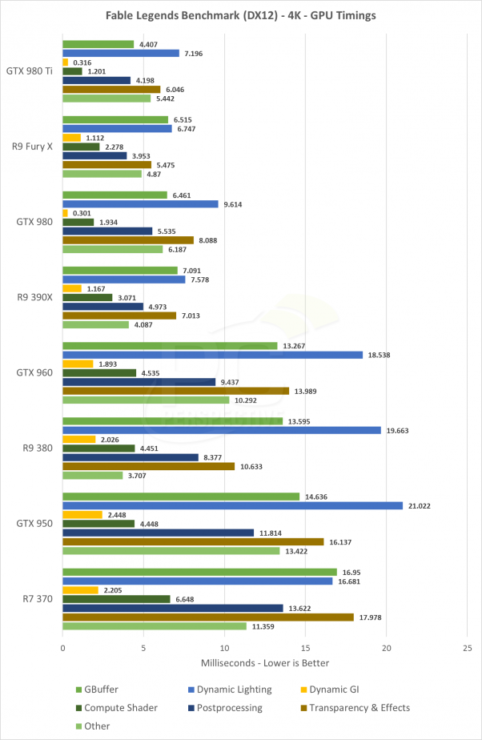 Currently, AMD and NVIDIA have the Radeon R9 Fury X and GeForce GTX 980 Ti as their flagships and we know for fact that AMD is quite better at Asynchronous Compute as seen in the AOTS benchmarks. The GCN architecture uses several ACE units to execute workloads simultaneously and was one reason they had a larger performance benefit with DirectX 12 as compared to DirectX 11. NVIDIA on the other hand has stated that they are working to enable the feature which isn’t fully implemented in the drivers as of yet. They plan to release it sometime later but the benchmarks today were tested without the drivers that enable Async compute so results can improve in the future on NVIDIA cards once the drivers hit but NVIDIA hasn’t mentioned a timeframe for the launch of the drivers yet. 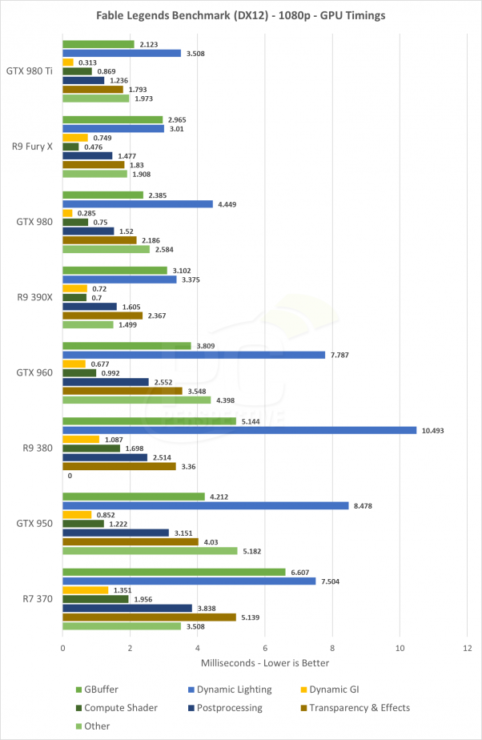 The benchmarks from the three websites listed above show the GeForce GTX 980 Ti performing faster than AMD’s Radeon R9 Fury X at 4K (3840×2160) and 1080P resolution. Since these two cards are too fast, they get under utilized at lower resolutions and only show their actual strength at 4K resolution. At 1080P, the Radeons are quite ahead of their GeForce competitors but that changes when the resolution is upped and we see cards such as the Radeon R9 Nano and R9 Fury performing on par with the GeForce GTX 980 even though GCN cards have the Async advantage to them at the moment. The Radeon R9 390 seems to be the one card that is in its own league being faster than the GeForce GTX 970 while selling at the same price point. 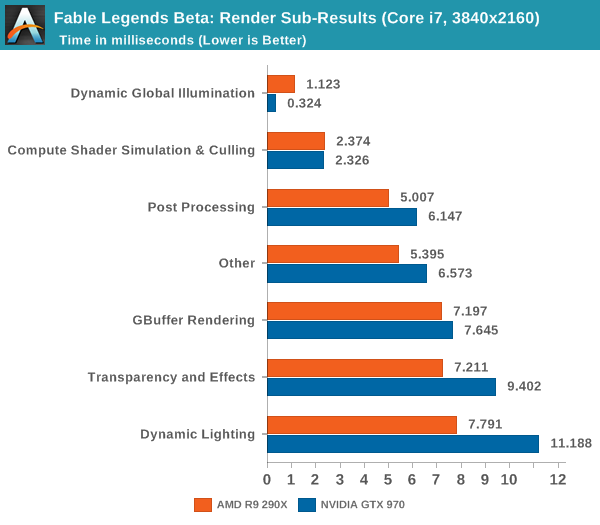 A good dissection of the workloads being completed show that the NVIDIA cards work better with deferred rendering and global illumination while AMD works better with dynamic lighting and compute. What To Expect From DirectX 12? 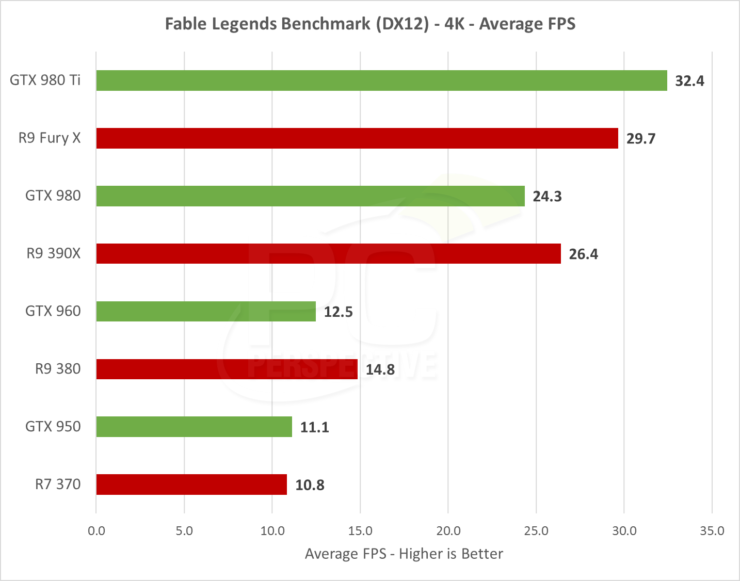 At the end of this discussion, I think its quite fair to say that Fable Legends proves to be a more representative of the performance coming with Microsoft’s new DirectX 12 API. The results prove to be really interesting and both AMD and NVIDIA show their leads in departments where they are most strong. 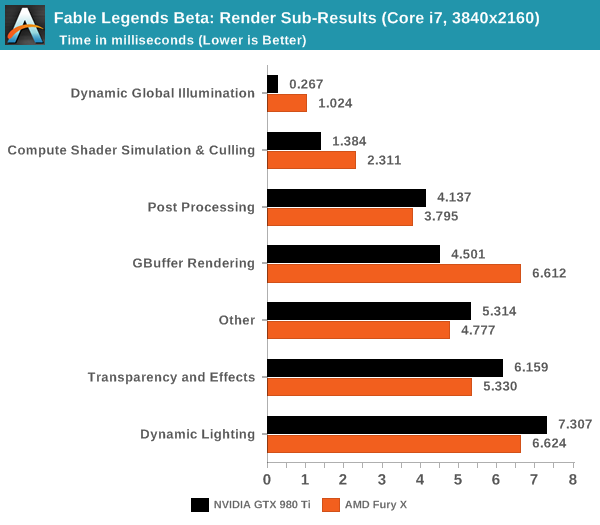 NVIDIA performs better with Global Illumination and rendering effects which they have worked really work to enhance with the geforce 900 series Maxwell architecture and AMD who have always showed an emphasis on compute showing their benefits in that sector. 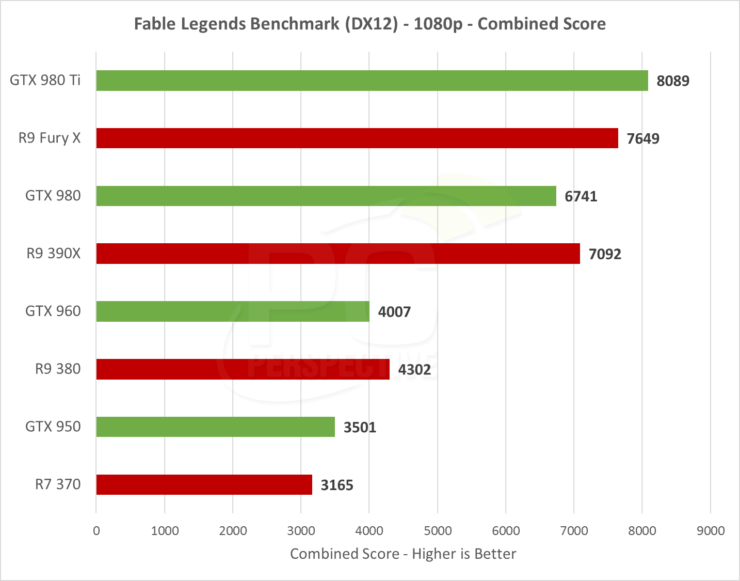 Even older cards that support DirectX 12 such as the Kepler and GCN 1.0 generations such as the GeForce GTX 680 and Radeon HD 7970 still hold up in the DirectX 12 benchmark at 1080P as shown by Anandtech but their benchmarks also prove that the minimum requirement for DirectX 12 gaming at 1080P with 60 FPS is at least the GeForce GTX 970 or the Radeon R9 390 graphics card inside your PC. The future with DirectX 12 titles is going to be great for the graphics industry with faster rendering performance and better per core scaling with multi-core processors. AMD has their hardware worked out quite well and NVIDIA is expected to release their Async driver in the months ahead to improve their already decent performance scores.